You’re viewing the article on Increasing Your Leads, in which we focus on how you can maximise your exposure to leads in Singapore. This article is the first in a series of 3 that are sent to TenderBoard Supplier accounts to familiarise you with how we can help you with your tendering activities. To read more on the other guides, click on the weeks below. 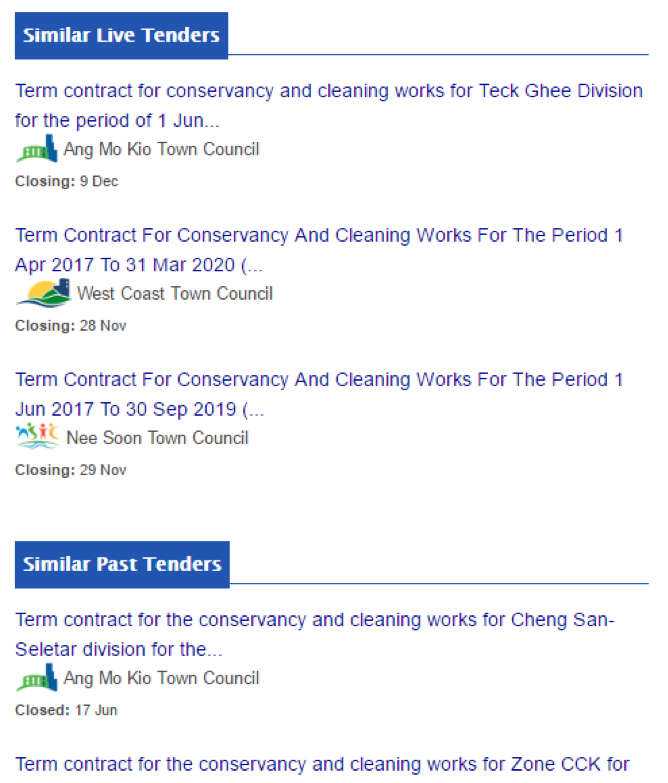 There are currently over 30 different websites, platforms and newspapers in Singapore that put up tenders, and if you would like to capture all these leads, you would need to manually go through these sites every day. Some websites, like GeBIZ, provides alerts, but a lot of them, such as NAFA, SOTA, US Embassy etc. do not. Furthermore, the feedback we have received from suppliers is that they have faced lesser competition when participating in deals that are on these sites. With 5 minutes spent on each site daily, that’s over 2 hours spent every day, 10 hours a week! This manual search is tedious and time consuming, but if you want to be diligent about capturing all potential leads, then this is the commitment you need to make. So how do you get ahead? With a TenderBoard account, you now no longer have to search manually every day. We’ll do all the work and show you relevant deals, so you won’t miss another opportunity again from our buyers, other websites and even the Straits Times. Apart from exclusive deals from buyers on TenderBoard, we also monitor multiple sites, platforms and newspapers daily to make sure you’re kept up to date with every sales opportunity (view which sites we search through daily here). Every morning, we’ll send you a daily alert email with only relevant deals from all these sources, so now you’ll only need to check your emails! So how does TenderBoard send you updated tenders in your daily alerts? The platform goes through the hundreds of deals daily and only sends you deals that match your keywords. You’ll receive these deals in an email every weekday morning. So to ensure you’re receiving ALL relevant deals, do make sure your keywords are kept updated! If you need to look up specific deals, or you’d like to see what other deals are out there, you can access this information on TenderBoard’s platform. Once there, you can filter deals by keywords, industry, buyers, open/close dates or host sites. On top of doing the searches yourself, TenderBoard will also show you similar tenders when you’re viewing any deal on the platform. Now that your keywords are all set up, and you know the different search tools TenderBoard has to find deals, you’re ready to start gathering and increasing the number of your leads, and move a step closer to winning more deals! Gathering and increasing your leads is the first step of tendering, and to learn more about the other steps and how to win more deals, check out our Ultimate Tendering Guide. If I change my keywords, when do the changes take effect? Once you’ve changed your keywords, the platform uses the updated list the next day for your daily alerts. Why have I not received any notification emails? If you don’t see an alert from us today, it could mean there weren’t any relevant deals that day. But you could always reach out to us to make sure your settings are all in order!